Over 10 years ago the Boundourakis family started running an olive oil mill in Maza/Apokoronas in the area of the prefecture of Hania. The olive oil from this area is characterized by its mellow taste and fruity flavor. In Greek we call it “Sweet olive oil”. Today we process the olive fruit of the famous Koronaika kind with machinery of newest technology, which by reasonable use of cooling devices during the process of pressing guarantee the traditional results of cold pressing. At the same time we manage to avoid the disadvantages like high prices caused by uneconomical traditional pressing methods. The olives and the olive oil are kept at a steady temperature of under 30 degrees Celsius during the whole pressing process. Thus vitamins and other temperature sensitive ingredients are preserved. Our company works absolutely environment-friendly. The enterprise of an olive mill makes it possible to us to select the olive oil, which will bear the name KANAKIS, directly at the source. 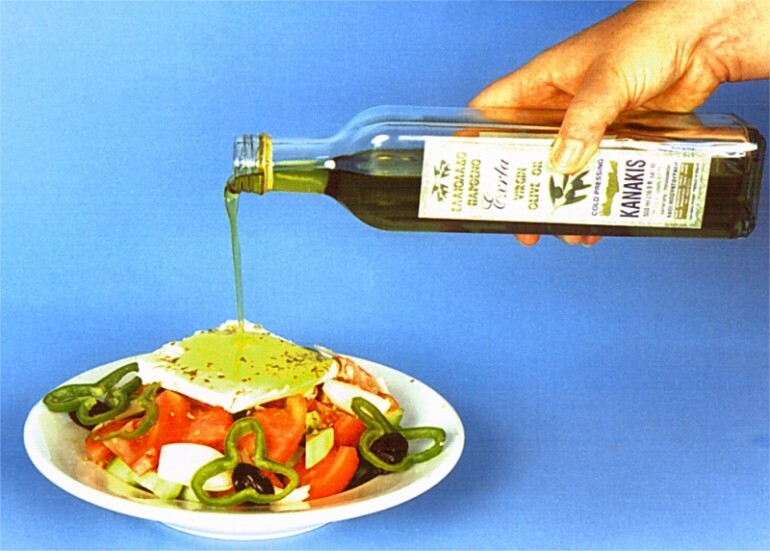 It makes the task of quality control and standardizing of our produce easier: Extra Virgin Olive Oil.